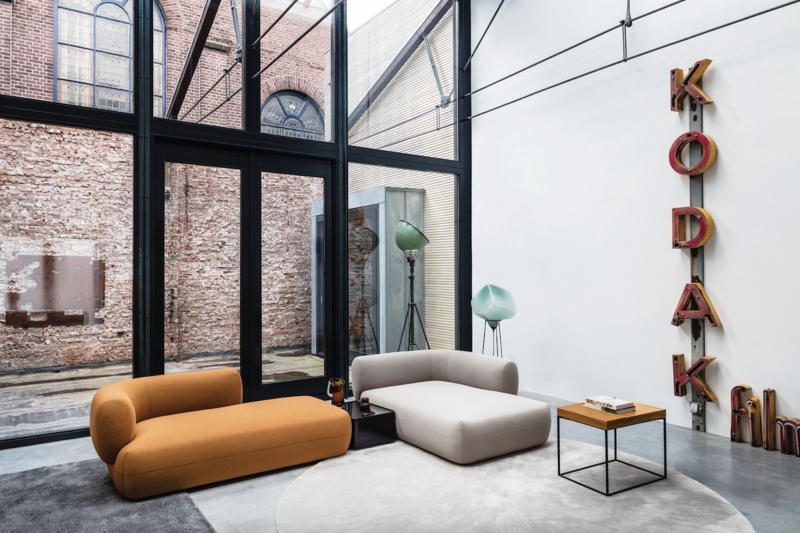 Named the Designer of the Year at the January edition of the Maison & Objet (M&O) fair in Paris, Sebastian Herkner has collaborated with some of the biggest furniture companies including Cappellini, Moroso, Fontana Arte and Thonet. The 37-year-old industrial designer founded his eponymous studio in 2006, while he was still studying product design at the Offenbach University of Art and Design in Germany; his internship at Stella McCartney in London sharpened his eye for colour and material as well as his attention to details. He has become known for designing objects and furniture that are a beautiful and harmonious balance of cultural context, new techniques and traditional craftsmanship. You have recently been named Designer of the Year by M&O—how do you feel about it? Sebastian Herkner (SH) I feel very honoured and very happy for my team and myself. It is a huge compliment and a sign that people appreciate our design and design philosophy. It is not my aim to win awards; this may be a result but never the reason that we work for. I still keep working with people I like on projects that I want to do. Design is very personal: it is something I love and it’s the best way for me to communicate. Of course, this presentation at M&O will bring me a new audience, but I will not change my attitude to design. I still see myself at the beginning of a long journey. I am thankful to have the privilege to travel for intercultural projects to meet great people and cultures. Could you tell us more about your installation at M&O? SH The installation showcases our design language and work—the aim is to give an overview of furniture, lighting and accessories that we have designed and to show the design process. These include iconic products from the last 11 years and new launches that we are happy to show for the first time in Paris; such as the very simple and beautiful mirrors for &Tradition, a chair for Ames Sala which was inspired by the traditional hammocks in Colombia, and also novelties for Pulpo and The Rug Company. SH Responsible, sustainable and authentic. My aim is to design the best product for a company. That’s why it is important to visit them to learn about their brand and to design something speci cally for them that ts their DNA as well as expresses my vision. If I design something, it is done with my passion, intuition and instinct. As a designer, do you have any regrets about the past mistakes you have made? SH I don’t regret anything. Why should I? You make mistakes; this is normal and it’s also important to learn from them and to decide to be different the next time. From the beginning, I was looking for strong collaborations and responsible dialogue with clients. I’ve had very positive experiences and now I have been collaborating with many companies for many years, like Pulpo, Moroso and Dedon. What are some of the trends that designers are leaning towards? SH I hate the word ‘trend’; it doesn’t exist for me. If we think in terms of trends, it is something designed just for a specific time. My aim is to design companions for life and not trendy objects you want to get rid of after one season. I love craftsmanship, natural materials and quality. Is there a project that you would love to do in the future? SH There are many things that I would love to design. But first of all, you need the time; secondly, you need the right company to start this dialogue and to work together. So far, we’re not just designing furniture but also developing sunglasses and a perfume bottle. I would love to do a hotel or restaurant in the near future.